The skeletal remains of a small child were found Thursday near the home of missing Orlando toddler Caylee Anthony’s family. There was no immediate word on whether the bones, reportedly discovered wrapped in a plastic bag and bound with duct tape, were those of a boy or a girl. Now, had they found her three and a half years ago, with chemical burns over 100% of her body, in a bucket labeled as hazardous waste, outside Planned Parenthood, nobody would have said anything. Please don’t misunderstand me. I’m not being flip. I’m angry. BBCT to Billy  who says..
We live with rampant horrors, now, and it’s just killing me. (Nod) I grieve for the little girl, too. But… and Billy may disagree with me here… for all the tears that will rightly be shed, and anger that will rightly be spent on the occasional horrors like this one, the lack of anger in our society over the horror happening every single day deserves more. 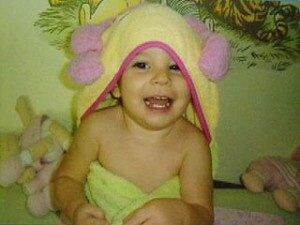 What makes us sad in the case of Caylee is the value of life, particularly life as innocent as that of a 3 year old… and the indifference to it for personal gain. I look at abortuaries around the country and I wonder; Can we honestly label these each as different cases? Can we as a nation, and as a people, be indifferent to one and not the other? It’s incidents like this that bring that question to re-examination in this blogger’s head. I doubt I’m alone.